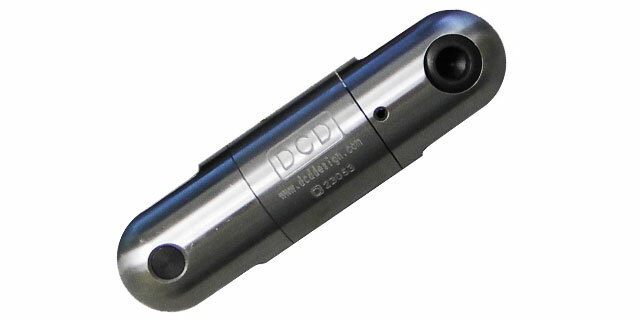 DCD Line Swivels are typically constructed with a thrust bearing for tensile load and a radial bearing for bending load. 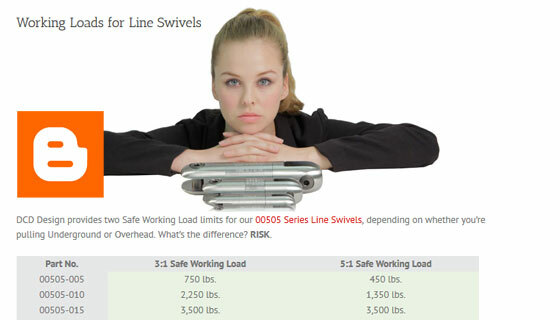 They combine a high safe working load with a compact design. 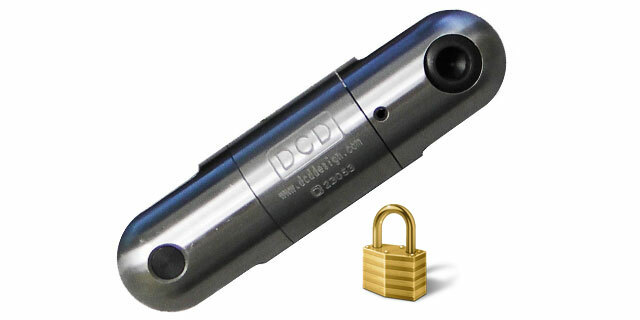 All sizes incorporate an oil seal and are manufactured from high strength stainless steel. 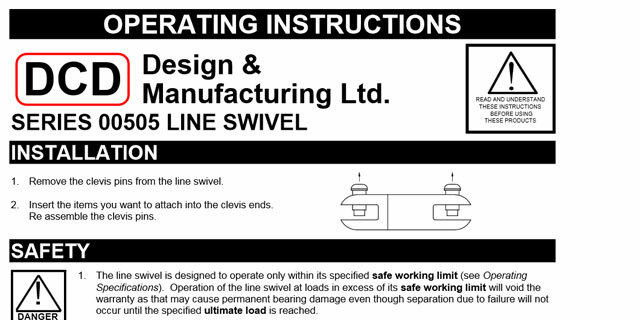 Our line swivels are designed for cable pulling or hauling in overhead and underground applications. Always remember to grease your swivel! 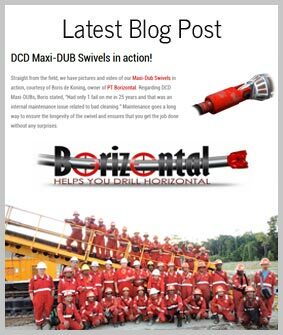 Check out DCD greasing options here. 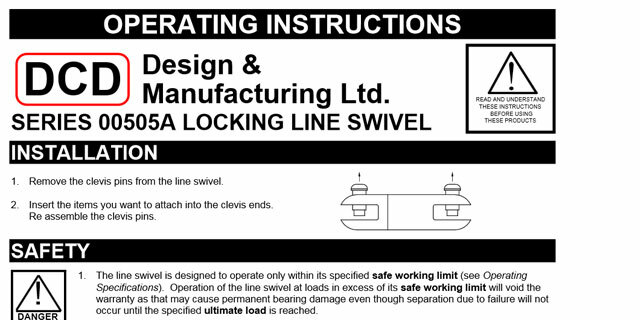 DCD Locking Line Swivels are typically constructed with a bronze thrust bearing for tensile load and a radial bearing for bending load. 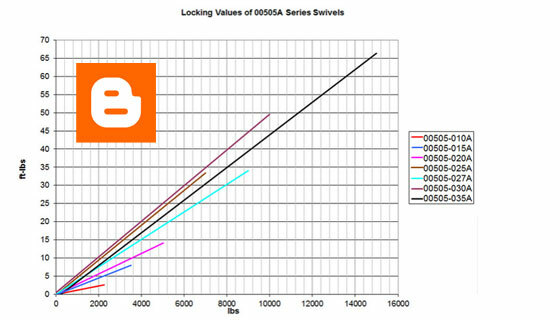 The bronze bearing will rotate up to a portion of the safe working load before locking. Once past this point, then rotation will only occur when pulling tension is relieved. 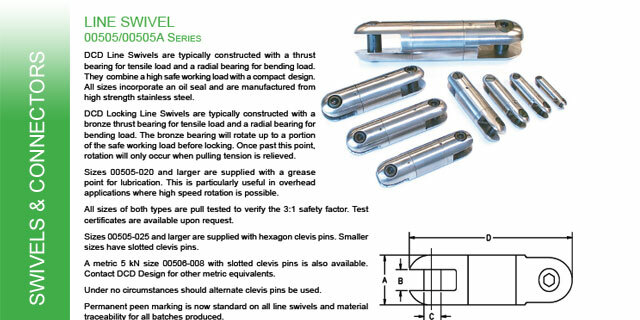 Always remember to grease your swivel! 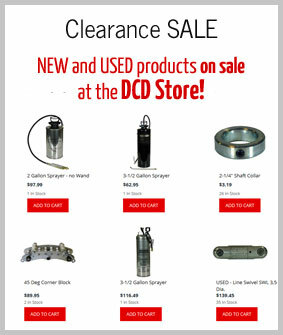 Check out DCD greasing options here. Have any questions? Suggestions? Looking for a quote? © 2019 All rights reserved. 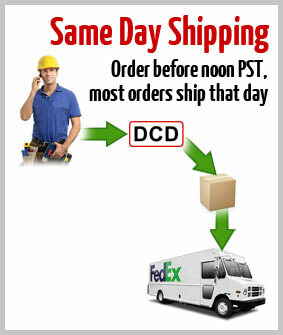 DCD Design.